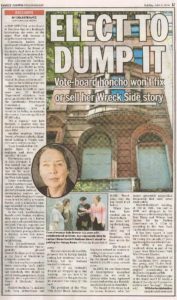 Well, negligent property owner Diane Haslett-Rudiano (who finally sold the rowhouse in 2014 under pressure from LW!, then-Council Member Gale Brewer, and the media) is in the news again. And, unfortunately, her negligence appears to extend beyond architecture. As NYC Board of Elections chief clerk in Brooklyn, she was responsible – and suspended – for the improper removal of 117,000 Brooklyn voters from the rolls. Now, reports The New York Times, the Justice Department is suing. 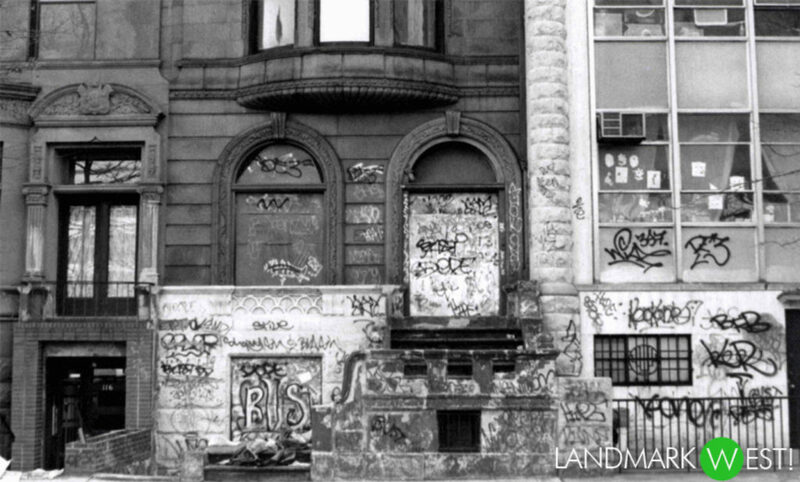 Karma Caveat: Haslett-Rudiano bought this rowhouse in 1976 for $5,000. She sold it in 2014 for $6.6 million. While the building remains unrestored, at least now there’s hope for new neighbors (who are not rats, that is). *Designated a landmark as part of the Upper West Side/Central Park West Historic District designated in 1990, this building was designed by the firm Thom and Wilson in the Renaissance Revival style in 1890-91 as part of a row of five houses. Almost a casualty of demolition by neglect, it also has the distinction of making the New York Landmarks Conservancy’s Endangered Building Initiative list as well as being crowned one of the West Side Spirit’s Five Ugliest Buildings on the Upper West Side. Visit LW’s 2013 Facebook page on this issue.